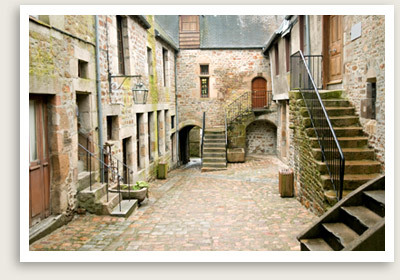 Normandy Private Tours from the ports of Le Havre, Honfleur or Caen. See Normandy’s charming countryside. Enjoy cheese, cider and Calvados tasting. Departure Points: LeHavre, Honfleur, and Caen. Other departure points available. Inquire. The last stop of your private Calvados tour will be to Liverot, a cheese- and brandy-making village famous for its namesake cheese. The soft, pungent cheese is nicknamed the Colonel as it has five stripes around it. You will enjoy a cheese-making demonstration and do the tasting here. You will also have cider with the cheeses. If interested, you will be to a Calvados distillery, where you will learn how the region’s famous apple brandy is made, and sample the spirits of Calvados.